During the Middle Ages, he came to be revered as one of the most important Orthodox military saints, often paired with Saint George. His feast day is 26 October for Christians following the Gregorian calendar and 8 November for Christians following the Julian calendar. The spelling “Demetrius” is a romanization of the ancient Greek pronunciation; the Byzantine and Modern Greek pronunciation is romanized as Dimitrios. See Demetrios for more on the etymology of the name. In Russian, he is called Димитрий Солунский ([dimitri solunski] ‘Dimitri of Saloniki’) and was a patron saint of the ruling Rurikid family from the late 11th century on. 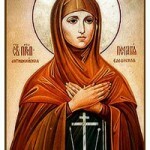 Izyaslav I of Kiev (whose Christian name was Dimitry) founded the first East Slavic monastery dedicated to this saint. The name Dimitry is in common use. 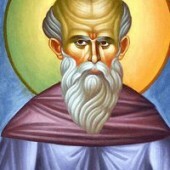 The Bulgarian Orthodox Church and the Bulgarian people revere St. Demetrius on 26 October as Димитровден (Dimitrovden). 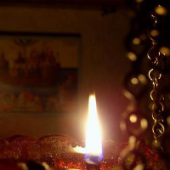 The Serbian Orthodox Church reveres St. Demetrius as Mitar, having a feast of Mitrovdan on 8 November. 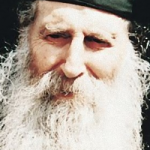 He is known in Lebanon as Mar Dimitri or Mitri for short, which is a common name among Christian Lebanese. He is known in the Coptic Church as “St. 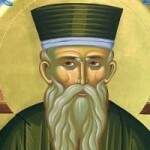 Demetrius of Thessalonica”. He is venerated in the Coptic Church on 8 November. 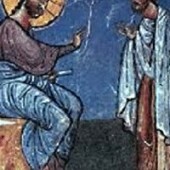 The earliest written accounts of his life were compiled in the 9th century, although there are earlier images of him, and accounts from the 7th century of his miracles. 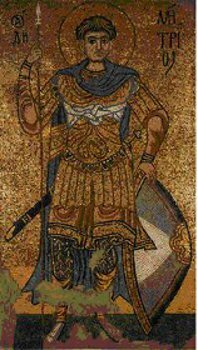 The biographies have Demetrius as a young man of senatorial family who was run through with spears in around 306 AD in Thessaloniki, during the Christian persecutions of the emperor Diocletian or Galerius, which matches his depiction in the 7th century mosaics. The origins of his veneration are obscure; the first evidence comes about 150 years after his martyrdom. Therefore some modern scholars question the historicity of the man. After the growth of his veneration as saint, the city of Thessalonikisuffered repeated attacks and sieges from the Slavic peoples who moved into the Balkans, and Demetrius was credited with many miraculous interventions to defend the city. Hence later traditions about Demetrius regard him as a soldier in the Roman army, and he came to be regarded as an important military martyr. Unsurprisingly, he was extremely popular in the Middle Ages, and along with Saint George, was the patron of the Crusades. Some scholars believe that for four centuries after his death, St. Demetrius had no physical relics, and in their place an unusual empty shrine called the “ciborium” was built inside Hagios Demetrios. 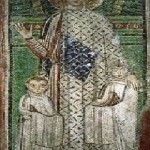 What is currently purported as His remains subsequently appeared in Thessaloniki, but the local archbishop (John of Thessaloniki, 7th century) was publicly dismissive of their authenticity. These are now also kept in Hagios Demetrios. According to believers, these relics were ascertained to be genuine after they started emitting a liquid and strong scented myrrh. 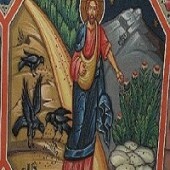 This gave the saint the epithet “Myrovlētēs” (Greek: Μυροβλήτης, the Myrrh-streamer). This has been attested in modern times, as well, and the relics continually stream myrrh which has to be collected constantly in order to prevent the reliquary from overflowing. If ever visiting Hagios Demetrius church, one can see a sarcaphagus that is worn down in several areas from the myrrh streaming from his relics. Relics of St. Demetrius at the Aghios Demetrios Basilica inThessaloniki.